February 11, 2019: Samsung has released January 2019 security patch for the Galaxy S6 handset carrying model no. SM-G920F. The software version of the January update is G920FXXU6ESA1. We are happy to see Samsung pushing out security updates for the device even today, as the device is quite old now. For those wondering about Android Pie, well, the Galaxy S6 is not eligible for the Android 9 update. 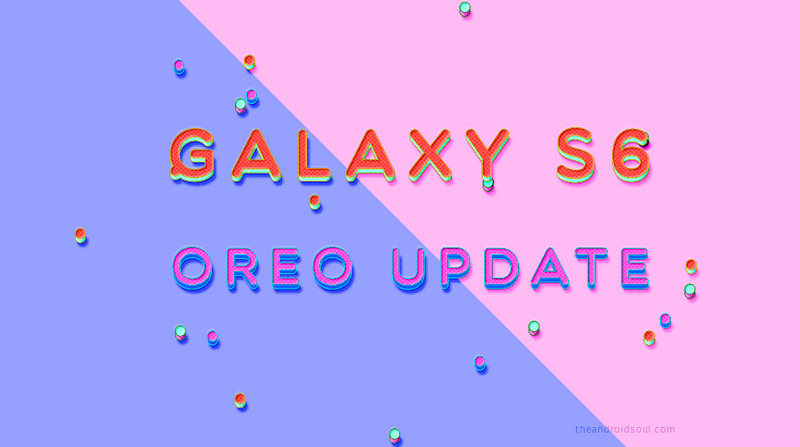 You may recall that the Android 7.0 update is last version update Samsung prepared for the S6, meaning the device didn’t get Oreo either. For all the latest news and software updates regarding the Samsung Galaxy S6, you have come to the right place. This page has all that you want to know regarding monthly software updates as well as major Android OS news, including Android Oreo and Android Pie updates. Having launched more than three years before Android Pie’s release, the Galaxy S6 isn’t eligible for the Android 9 update. The device’s last major OS upgrade was Android Nougat and it stays at that. While we’d very much like to give you some hope that Pie will at some point arrive on your S6 via an unofficial update, the S6 doesn’t enjoy a lot of support when it comes to custom ROMs, so don’t get your hopes too high on this matter. Update [Sep 17, 2018]: There’s an unofficial update to Android 9 Pie for the Galaxy S6 for various variants. Details here. Samsung Galaxy S6 was launched in the first half of 2015 and came preinstalled with Android Lollipop. 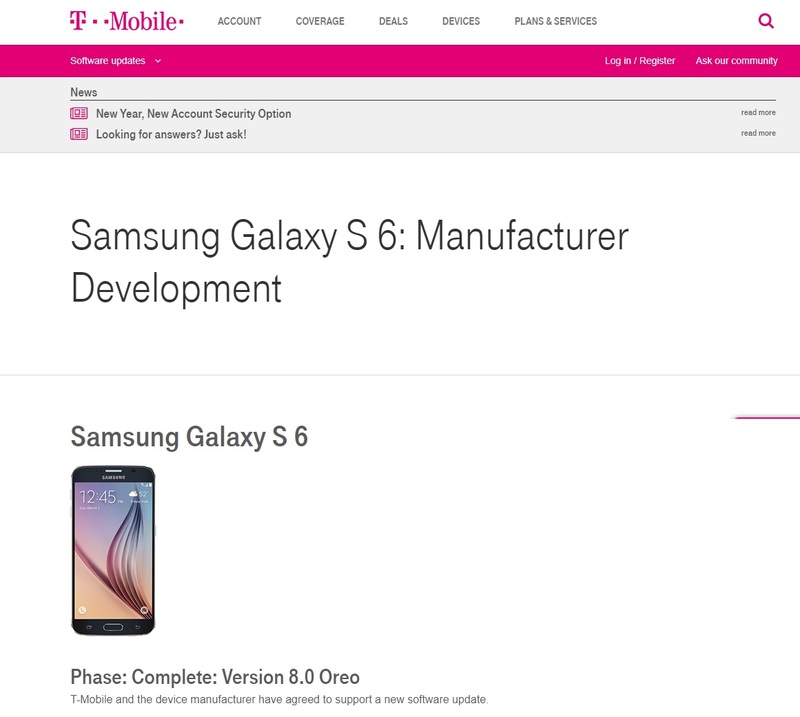 Usually, Samsung’s premium phones receive two major OS upgrades, which has seen the S6 receive Android Marshmallow and Nougat and even though at some point T-Mobile reported that Android 8.0 Oreo was in development, the carrier has since taken down the page that had the info below. This, essentially, confirms that there’s no Oreo update for the Note 5. 09 Nov 2017 G920AUCS6EQH1 Android 7.0 KRACK Wi-Fi vulnerability fix, BlueBorne fix, and September and October 2017 security patch. 25 July 2017 G920AUCS6EQG1 Android 7.0 July security patch. 18 July 2017 G920TUVS5FQG1 Android 7.0 July security patch. Well, check out the model no. of your Galaxy S6 first, and then download the latest firmware available above for your exact model no. Next, install the downloaded firmware using our Odin Samsung firmware installation guide here.